Corporate executives responsible for strategic planning, business development, environmental health and safety, finance, regulatory and public affairs, technology development, research and engineering, and life-cycle stewardship. Financial executives representing insurance and reinsurance companies, pension plans, and financial institutions, as well as venture capitalists and SRI practitioners. Policy makers overseeing energy, climate change, natural resources, research and technology transfer, and business and economic development. Environmental industry executives from technology and service companies responsible for business development, marketing, R&D, and finance. Thought leaders including academics, executive directors, authors, and other opinion makers and agenda setters who write, speak, and tweet on the solutions economy. International agency representatives from major development banks, multilateral development organizations, and aid agencies. Built-environment professionals including developers, architects, engineers, planners, and connected-city suppliers and practitioners. Media representing leading Canadian and U.S. broadcast, print, and digital outlets. THE PREVAILING THEME FOR GLOBE 2016 IS "INNOVATION"
From March 2–4, 2016, nearly two thousand business and government leaders from over 50 countries will come together to network and advance global business and sustainability agendas. 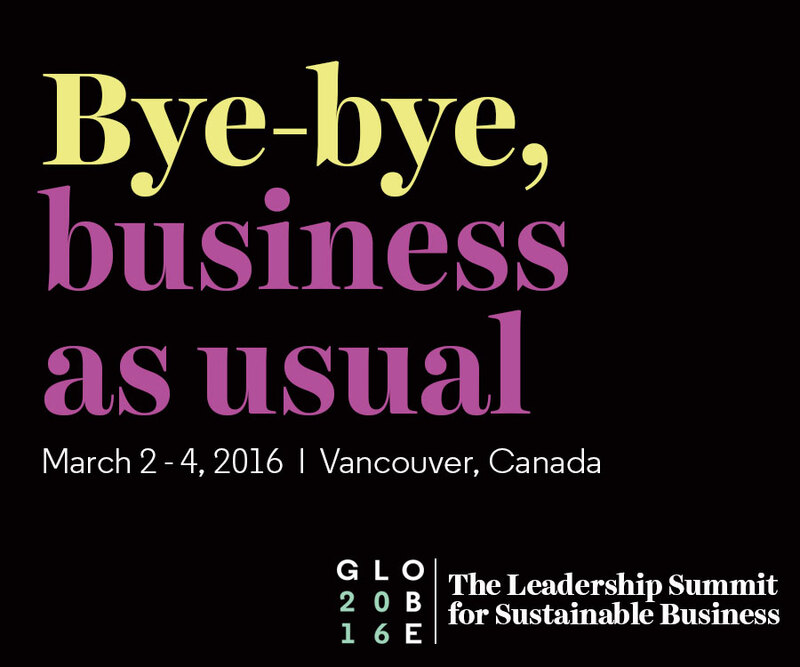 As North America’s largest and longest-running Conference series dedicated to Business Innovation for the Planet, GLOBE 2016 is about taking responsibility, forging new partnerships and thinking outside the box.